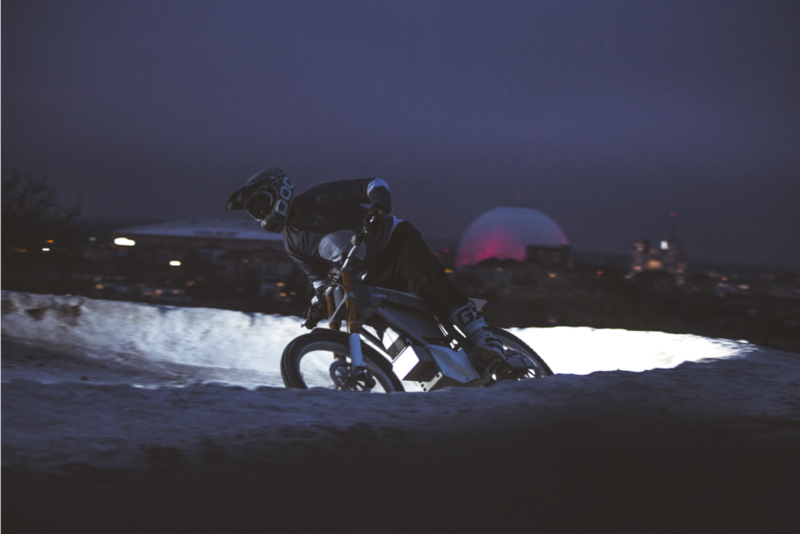 – CAKE, the Swedish manufacturer of lightweight electric off-road performance motorcycles, today announced the release of their second category-specific designed track at Hammarbybacken/SkiStar. The track dimensions are created to support the characteristics of light electric off-road motorbikes. The designer of the concept is CAKE friend and EWS pro, Robin Wallner. With the CAKE Kalk, traditional complaints of motorbikes are history - the bike is quiet, doesn't disturb neighbors, and doesn't pollute. As evidenced by SkiStar Hammarbybacken, CAKE's track can be built anywhere: in cities, your backyard, small empty land lots, inside an old warehouse, on rooftops, or any other available public or private space. This test track concept is the first step in CAKE actively working on establishing a separate infrastructure, both on and off track for electric and motorized vehicles. The eco-conscious brand adamantly believes that electric and motorized vehicles, including the CAKE Kalk, are not meant to share space with human-powered vehicles, like MTBs. Understanding the differences and offering up tangible solutions is the just the beginning. What’s the difference to a standard MX or MTB track? Just as a MX track is shaped to support MX bikes, the CAKE track is shaped to get the best from a lightweight electric motorbike, since the feeling and handling is much more like a DH bike with the acceleration of a 250cc. The CAKE bikes are developed to excel in trail-like circumstances, rather than in mud and swampy conditions. The closest way to describe the track is a DH track, but on flat land. If they don't turn up in your neighborhood, build your own. Drawings available on the website.